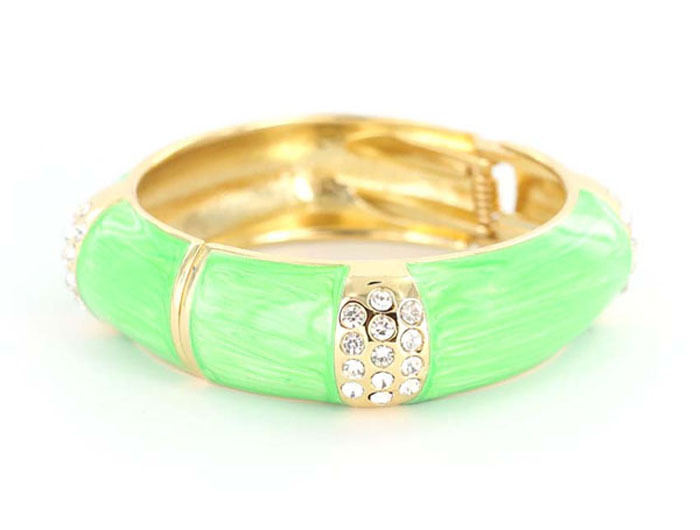 A lime gilt slice of heaven for your arms. The Sophia Bangle Bracelet is complete with rhinestone bling and a hinged clasp. For girls that just want to have fun. Buy this 'must have' piece of costume jewellery online today at lowest price guaranteed.